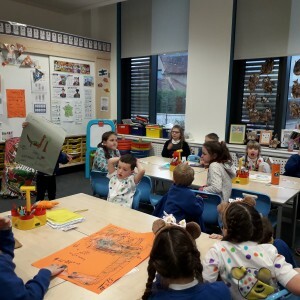 At Caol Primary School on Fridays they have a STEM (Science, Technology, Engineering and Mathematics) club, which has a range of pupils from P1-7. Our STEM ambassador, and staff geologist, was invited in to take a session. 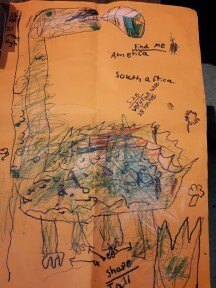 ‘Dinosaur Detectives’ was the session theme and the kids were given evidence such as footprints, size of the dinosaur and their diet to come up with a sketch of what the dinosaur would have looked like. 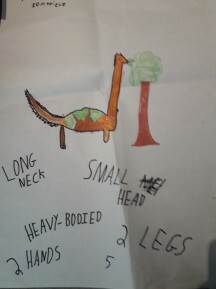 Below are the drawings they came up with. 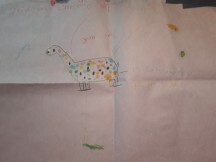 The kids were engaged with the session and managed to produce great images of what the dinosaur would have looked like millions of years ago. 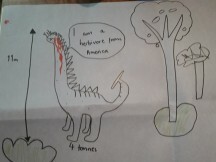 Which drawing matches a Brachiosaurus, Ankylosuarus, Saltasaurus and Shunosaurus?